Short length KnitPro interchangeable needle tips can be used with all cable lengths but are designed specifically for use with the 40cm cable. 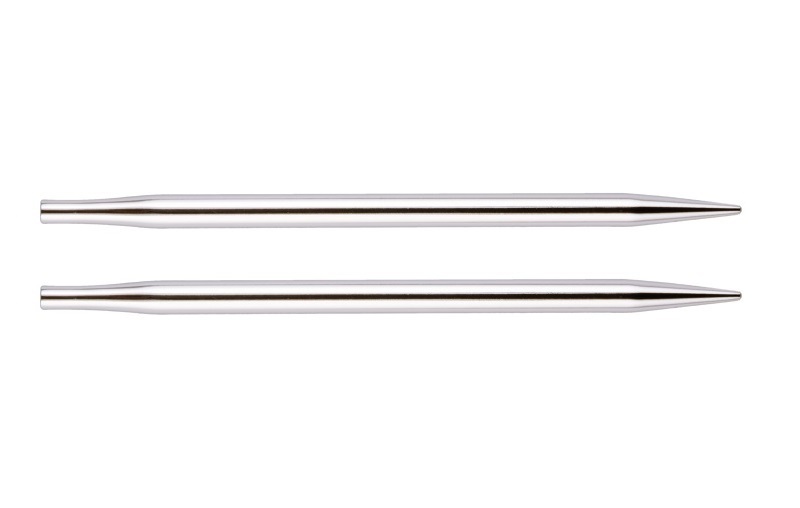 Short tips are 10cm long. 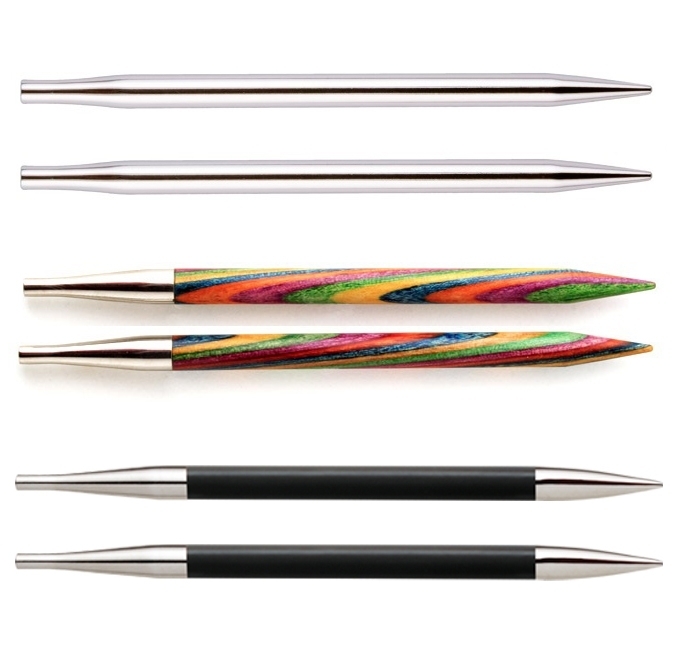 Symfonie Wood: layers of laminated Birch wood give these needle tips a strength that is missing in regular wooden needles. 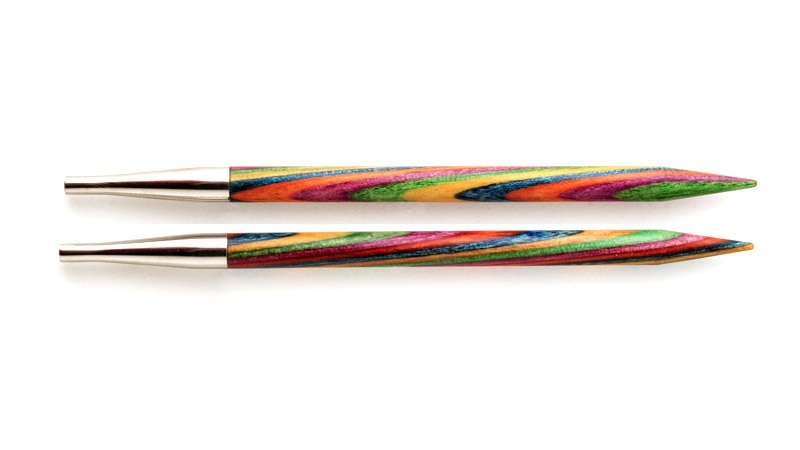 The stability allows KnitPro to shape sharp points- particularly nice for lace knitting. 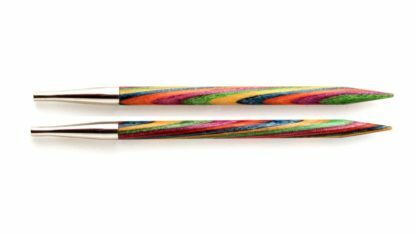 Being wood, the burnished surface has a slight grip so slick yarns like mohair and angora don’t slip off at the wrong time. 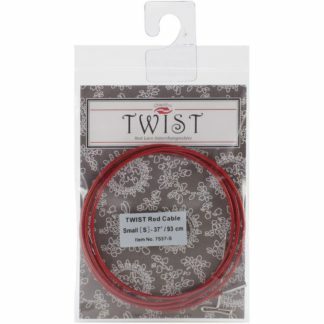 This quality also makes them an excellent choice for beginning knitters, who often have trouble keeping stitches on the needles. 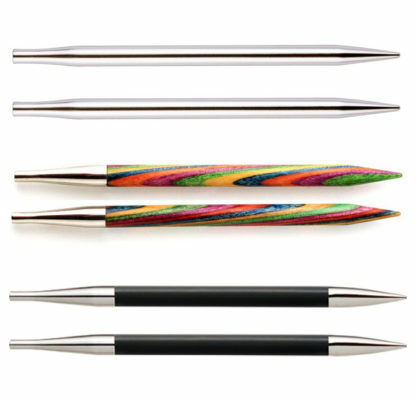 Nova Metal: nickel-plated tips with a glass-like surface allowing your stitches to move freely, while the hollow brass tube is lightweight for hours of comfortable knitting. 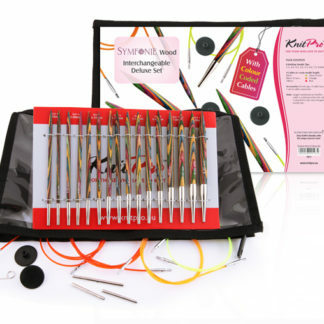 These are the slickest, quickest tips that KnitPro make – for those who like to speed along. 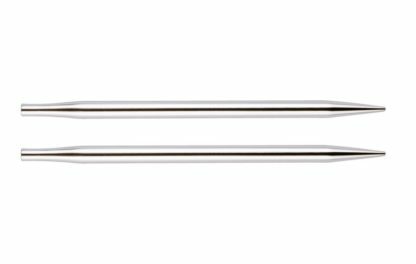 Karbonz Carbon Fibre: Light, strong bodied carbon fiber shafts with sharp nickel-plated brass tips. Warm to the touch and gentle in the hand. 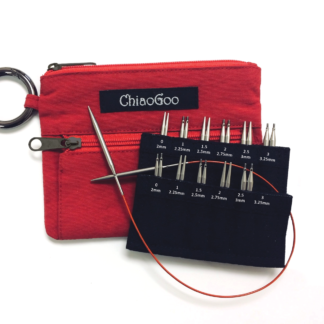 A great alternative for knitters who find wood needles too delicate but can’t handle metal needles.